Review: Montana Tech is a university located in Butte, Montana. It was founded in 1900, originally as Montana State School of Mines with two degrees, Mining Engineering and Electrical Engineering. The "M" on Big Butte overlooking the city stands for Miners and was built in 1910. On January 25, 1965, Montana School of Mines became the Montana College of Mineral Science and Technology (known as Montana Tech). 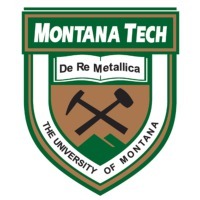 In 1994, Montana consolidated the university system and the school joined the University of Montana and became known as Montana Tech of The University of Montana. Montana Tech offers programs under the auspices of four Colleges and Schools. The School of Mines and Engineering offers courses in engineering and industrial hygiene, the College of Letters Sciences and Professional Studies offers liberal arts curricula, the College of Technology offers occupational training and education, and the Graduate School offers post-graduate education complementary with the undergraduate programs. Montana Tech has a total enrollment of 2187, which includes 2053 undergraduate and 134 graduate students. Location & access map for "Montana Tech of the University of Montana"